The sighting of a rare flower. 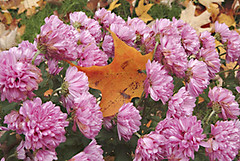 Paradoxically, we'd prefer it to bloom less often. Like not at all. Most likely to grow at the confluence of Bad Decisions Even Though You Know Better and Stubborn-ness. Maybe you recognize it by its common name? Partially ripped KidSilk Haze. I'm making the multi-layered tube scarf from Alterknits, its the smaller version of the shawl at the link, essentially a long narrow tube of KidSilk Haze with silk fabric through the center, with some beads and trinkets on the ends and give it as a gift. I knew I cast on too tight, I know KSH stretches like mad in open stitches, yet I still decided that I knew better than the pattern how many stitches to cast on. So, 12" later I had a ballooning tube of ridiculous width billowing out from the choked cast on edge. 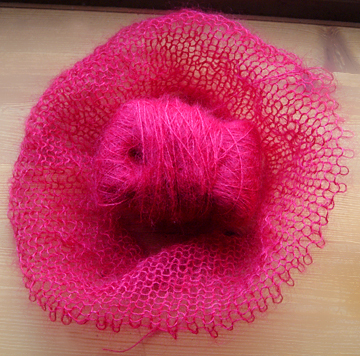 Curiously, the fuschia seems to intensify as its knit, not diffuse. Go figure. I thought the spaces between the threads would take the edge off. Out it came. I cast on (on bigger needles this time) with the correct number of stitches in a pale blue and so far, 3" later, so good. But enough about knitting, I've got pies to bake,and a houseful of my favorite people - my loud hungry extended family - showing up here in just a few hours for a four day fiesta. 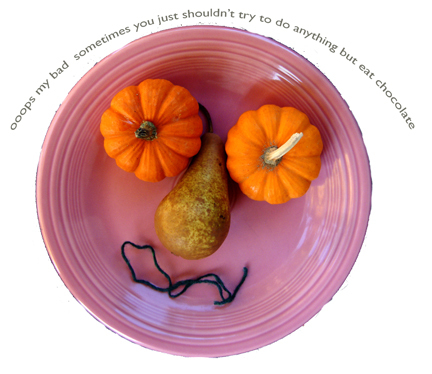 Have a happy thanksgiving to all who are celebrating! So sorry for the tortured title. The last thing I should be doing is blogging but is there, I ask, any better tool for avoiding what one really should be doing? The last little hat had to be made when I was heading (ooh bad pun, so sorry again) over to my friend Susan's for a potluck lunch & head shaving with only a bowl of garlicky pasta & veggies. 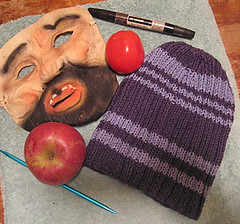 That's no way for a knitter to show up, a hat it had to be. I knew that she'd need something snug and smallish, as well as soft and very warm. It being the 11th hour, I made do with what was here. I improvised. It worked, I'm especially pleased with the smooth round shape, and it isn't too long on the sides. So, the pattern follows. I knit a little on the loose side, so if you're a tight knitter, go to a size 9 needle. 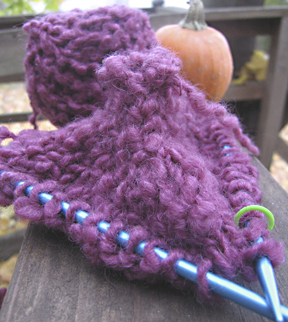 Cast on 60 stitches, spreading stitches across needles and join, placing marker to keep track of round ending . If you want a larger hat, this is the time to cast on additional circumference. Just muliply the number of inches desired by 3 and that's your number of stitches. 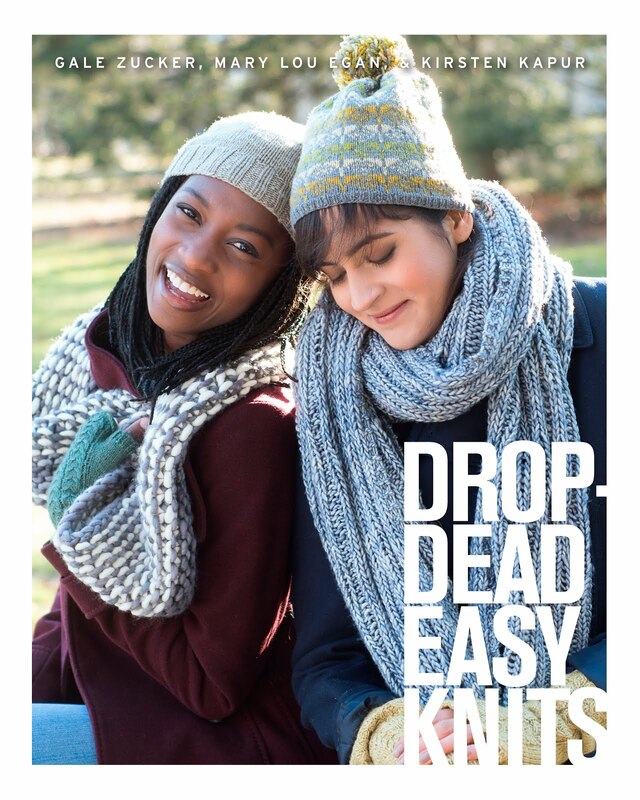 Knit even for 6". If you want the hat to cover your ears, add length here, to 7-8 inches. Then work 2 rows even. Then work 1 row even. I purled my last decrease row just to have a tiny stitch circle on top. Truthfully, I did by accident but liked how it looked. Its an option. Continue this until you have 4-6 stitches left. Cut leaving a long tail, thread the tail through a darning needle and pull it through the stitches left on the knitting needle, pulling them firmly together. Weave in ends, and you're good to go. If I'd time I would have soaked and dried it to make it even softer but the merino was so soft, it was fine as is. Model is my resident 12 yo who managed to recover from the disappointment of not being able to keep this hat, in time for a photo op. Need a couple of other hat ideas, just click your way over to Susan's serialized top down hat this week, or to Amy Boogie's Trifecta. The Cirque du Suess hat is successfully duplicated. Calliope music, please. I am enjoying this little hat. Late last night, my cousin popped in on her way from NY to Newport. She said "ooh, nice hat, that is so in style right now" When Melanie says things like this, I perk right up - she's not only much younger than I but she grew up in France and has that je ne sais quoi thing. Not that style reveals itself here, as I squint into the sun with a still- damp-from-blocking hat on my head. Since Libby asked, the pattern follows. Writing it up makes me truly appreciate the talents of designers who write patterns well. Which is a nice way of saying.....well, proceed with caution on mine. needles: size 8 dpns , size 8 circular , 16 or 24"
note: you're using needles 2 sizes smaller than what you'd think for the weight yarn, so you get a nice dense fabric that'll hold the shape. 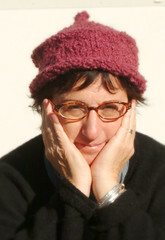 The hat is knit top down. On one dpn, cast on 7 stitches. Do not join. Knit first three stitches onto a 2nd dpn. Knit next 3 stitches onto a 3rd dpn. Knit last 2 stitches onto the 4th dpn. Now join the round. Knit one round even. If you wish to exaggerate the flume on top, you can knit another ,or many more, rounds even now. The top of the hat: On next round, increase 6 stitches evenly spaced. 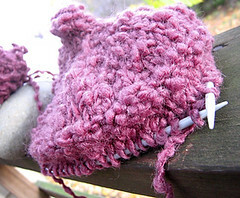 I do this by knitting into the front and back of a stitch, with nubbly yarn its a hidden increase. 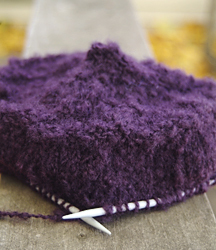 If you use yarn with better stitch definition, a lifted increase might be a better choice. Knit next round even. Place marker to keep track of beginning of rounds. On next round, increase 7 stitches evenly spaced. Knit next round even. On next round* Increase 8 stitches evenly spaced on the round. Knit next round even. * Repeat from * until the radius of the hat from the center flume is about 5 inches when flattened. This is somewhere around 70 stitches but will depend on your yarn and gauge. If you wish a larger hat, now is the time to keep increasing the top diameter. Turning the corner: Purl next round. Purl second round , this time onto the circular needle. This may be unnecessary but its easier to handle. These purl rows put you over the corner of the hat, you're now knitting the sides that come down. Sides: Knit even for 4 inches or as long as you like it. Bind off in knit, creating a roll brim. Weave in ends. Give it a quick soak and let dry standing up with some towels in it to keep the shape. If you try this pattern , let me know how it comes out! 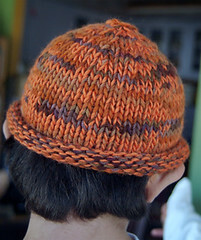 I have another hat I came up with this weekend, its tale and pattern, too. I know, what was in the drinking water? I'll save it for a day or so. Meanwhile, if you want good gift ideas, hit Susan's treasure of a list, gifts to knit with 1-3 skeins. She should win a Public Service to Knitters award for linking all these, yeah, that's the unfortunately named PeSKy. Hats. They are turning my head this week. The plan was for mittens but they weren't fated. That oddly shaped purple hat I was making to go with the fingerless mitts gift last entry, well, when it was done I thought to myself "huh, that's a weird one" . 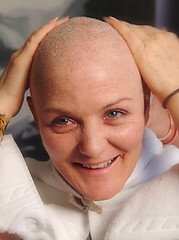 Plopping it on my own head, went to the mirror for a good laugh and discovered that Libby and Lee-Ann were right - they both commented encouraging things about it- its totally wearable. Maybe even stylish. I then had to grab me some other bumpy yarn and cast on to replicate my mistakes & odd moves clever design for a Cirque du hat to keep. I've definitely got the flume part down. I'm hoping I can fake the move that made a ridge. FYI its not gigantic, thats a baby pumpkin and size 8 needles. By the morning light, now I've got ridge. The hat is looking more Suess than Cirque. 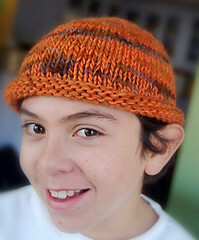 More hats: both Sons Who Don't Wear Wool took an interest in having a hat knit for them. This is a startling turn. The younger one felt some cashmere and said he wouldn't mind a hat made from it. Umm...... no. I'll pop for some merino. The older one asked for "something I can wear mostly at home to, y'know, squoosh down my hair so it won't be puffy when I go out". There is no puff in his hair. But I know better than to debate hair with a 15 year old. I played it cool and said in as close to a monotone as I could, "well..since we'll be in Northampton on Saturday, we can stop by Webs and I guess you can pick some yarn out." Inside? I was jumping up and down, chattering with exclamation points. Anyway, I'd already planned on dragging him & his cousin to Webs before we left town , now I had an excuse they could relate to. He hasn't asked me to knit anything since a purple sweater with penguins on it in kindergarten. I hopped right on that one too. I don't think that's what put him off wool...it saw a lot of action. Really. My traveling companions in Noho - please try not to be distracted by the hair that so obviously needs squooshing on the right- were way into the food and the used CD store so we got to Webs just before it closed. Can I just say? How lucky is MamaCate to have this as her local yarn joint? I always get overwhelmed by choice there. So much yarn, so much space to look at it in, that whole back garage warehouse full of discounted yarn and all those cones. I needed more time, we left with 2 skeins of Debbie Bliss WoolCotton on sale half off for the squoosh hat. 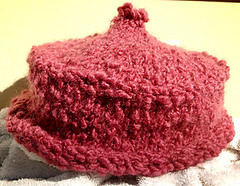 Every winter I try to make close fitting 2x2 rib hats that don't have wonkiness in the decreases or top shaping. Still haven't achieved it. Fortunately these hats are worn by people taller than me, so I don't have to look at the wonk daily. Including the Squoosh, shown here drying with an assortment of What Was on The Counter today. Thus documenting my wonkiness level as well as why we are the place you want to come to first on a scavenger hunt. 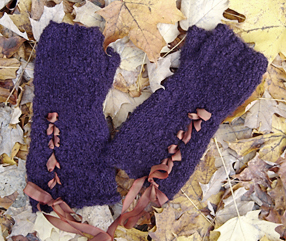 Thanks for the comments on the ribbon and laceup mittens. Blogger makes all the comments anonymous, I often can't figure out how to find your blogs or email to write back. Just know I appreciate every word. And if you feel so inclined, leave your blog address in the comment. I had a bad day yesterday. I rarely have bad days. When I do, its on the order of cosmic misalignment. Many things go wrong. I make goofy mistakes. And then announce them in public. It seems I'll be the guest crafts columnist in this month's Modern Jackass Magazine . So. 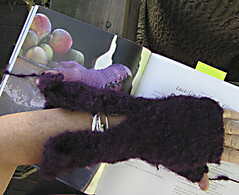 Referring to yesterday's post: There's nothing wrong with the way the Laceup Fingerless Mitts are written, I remain an AlterKnits fan. When I ripped back and started again, I realized the thumb gussets are pretty much centered. All I needed to do was flip the friggin' mitt over, put it back on my arm and give it a little tug. The open eyeleted area would have fallen on the correct side of my arm. Now that I'm redoing the gusset. I'll move it 3 or 4 stitches around to make a definite right handed mitt but its truly NOT necessary. As far as bad days go, could have been worse than ripping out half a mitt and trumpeting it on a blog. Last bad day I wiped out all the work - hundreds of digital images- on an external hardrive . Yesterday's lowpoint? The above mentioned idiocy. Followed by the dramatic smashing of a wine glass filled with orange juice and EmergenC vitamin fizz- it looks festive that way, I thought it'd cheer me up- as it took a dive across my laptop keyboard. Then I went to bed. Its not like it didn't cross my mind. 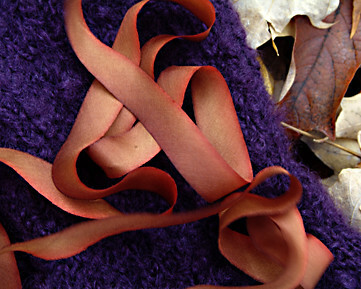 Lulled by her beautiful design & photos, the good clear instructions and- I admit it- the use of hand dyed silk ribbon, I decided to go ahead, flaunt reason and trust Leigh Radford in AlterKnits when it came to the second Lace Up Fingerless Mitt. The instructions say: Make a second glove to match first. Yeah. Well. Its not like I'm new to mittens. Last winter I took to fingerless mitts like...well, like Kay to One Shrug Wonders. Which is to say I have some experience in making sure the thumb gussets start in opposite places, corresponding with the digits themselves on the human hand. Yet, it wasn't till I tried the thing on to check for hand length that I realized the lacing & eyelets were going up the inside arm on the second glove. Most sad, this is my yarn I've been enjoying all along. It is is fuzzy and gnarly, wooly and messy, and warm, and pretty much, untinkable.